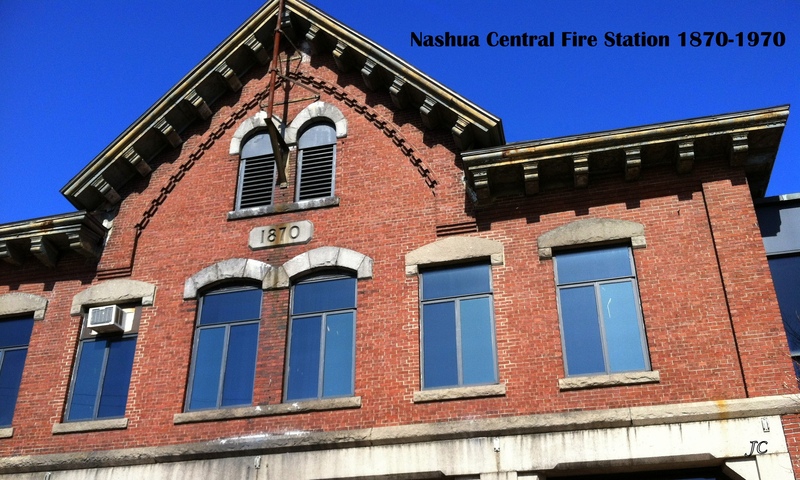 Nashua’s Central Fire Station Repurposed? How about we do something with this downtown building? I liked the picture so much I used it on my Facebook Page for a while, and started to look into the significance of the 1870 date. Well, I learned quite a bit of Nashua history in my search, but I’ll focus on this picture. 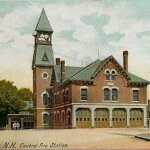 It’s the original Central Fire Station, which is on what’s now known as Church St. I wish it had a better use, looking a bit run down now. Going by the Central Station countless times in the previous 3 decades, I never noticed the tower on the back left of the building until I saw this picture. Old fire houses had a bell tower…that was the fire alarm for the neighborhoods around it. Most bell towers have been removed due to structural deterioration. Look at the bell tower in this old postcard photo of Central Station. 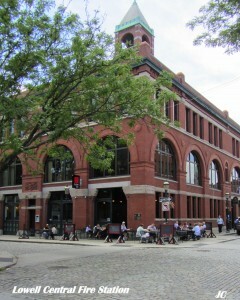 Here’s a good example of a re-purposed fire station in Lowell, MA. It’s now a restaurant and offices. Beautiful building from the street. Notice the bell tower is still there. You can find a great history of Lowell firefighting: Lowell Fire Fighting by: J.T.Strunk. My uncle Gerry was a Captain at this station before it (and he)retired. I would love to see Nashua do something with the old fire house. Homes of Character in Nashua, Hudson, Hollis, Milford, Merrimack, Pelham, NH Real Estate, Land and Homes, Windham property. From Everything Real Estate with Jenn, post Nashua’s Central Fire Station Repurposed?